Boku no Hero Academia (My Hero Academia) began in issue 32 of Weekly Shonen Jump by experienced managaka Kohei Horikoshi. Horikoshi's last work, Sensei no Bulge was overrated and overestimated by many editors in Jump so much so that it was released simultaneously in the Americans' Viz Shonen Jump as Bulge of the Battle Star. However to their disappointment Sensei no Bulge ended after 16 chapters. 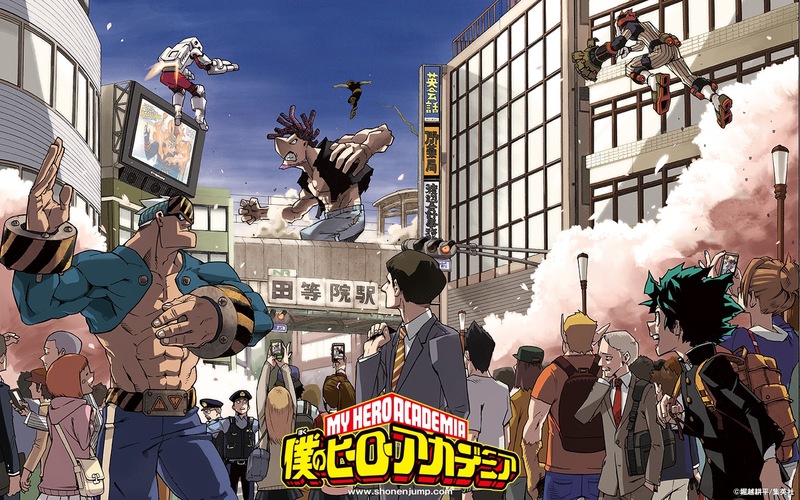 Boku no Hero Academia first ran as a oneshot in the Winter 2008 edition of Akamaru Jump. One can only hope that Horikoshi learnt from his mistakes and make this new series successful. After reading the first chapter of this series I could clearly see Horikshi's improvements in art and story compared to Sensei no Bulge, however I was left with the feeling that this series would also get cancelled. Due to the fact that this series is getting successful than Barrage, I think you owe it an apology. However, I understand why you're harsh with it. True. This series has become and incredible series, however I still think that the first chapter could have been much better. I did base my judgement on that chapter.